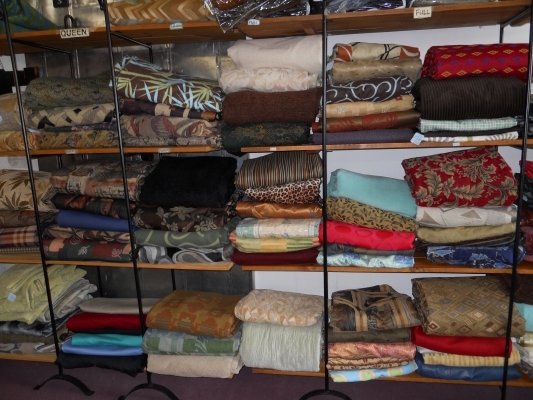 In stock covers, we have solids, prints, chenilles, microfibers and tapestry covers in stock and ready to go. Looking for a special ?. We have them on sale most of the time to keep the stock moving and always new. $38 and up.